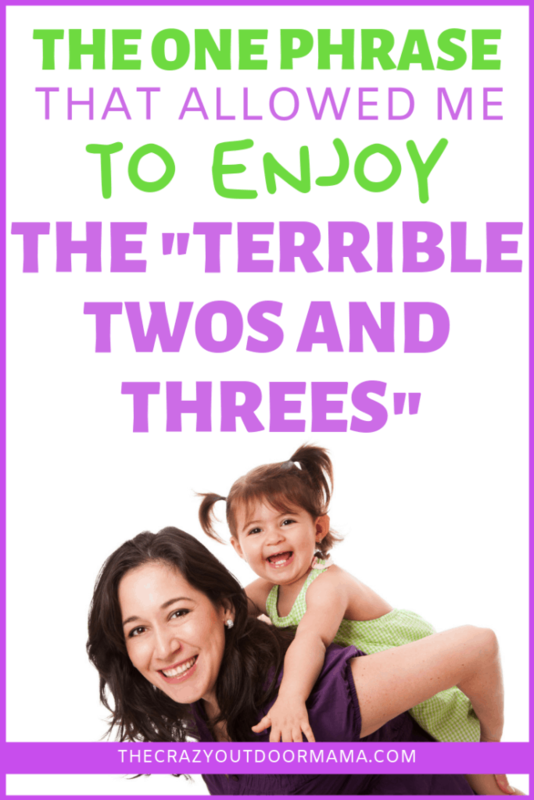 The Terrible Twos and Threes, and the One Phrase You Need to Survive It! “The terrible twos and threes” is something you’ve probably been warned about over and over.. but how do you deal with the terrible three symptoms, and how do you discipline the terrible twos without spanking or timeouts? I had PLENTY of warning, and even more questions – then I saw it for myself! The insistance to do everything on their own, to freak out over seemingly meaningless things, to fight almost every decision and save the most EPIC meltdowns for when you’re out and about.. But what if I were to tell you that it’s not terrible… but testing? The testing twos and threes. Testing boundaries, testing emotions, testing what is acceptable where they feel safe to do so. Where do they feel safe? Mindset is everything, and if you go into these ages with a negative mindset, all of your childs actions will seem “terrible” and you’ll feel like every thing that your child does is to spite you in some way. I know, I’ve been there… I have most definitely blamed my toddler for making me angry, and been so embarrased about what people thought that I have literally dragged him out of the store by his arm because he refused to stop crying and stand up. I thought this was the “terrible” everyone was talking about, but really he was testing and exploring the world around him. And he is like a new kid! How do you survive the “testing twos and threes”? Here’s a couple of main points we’ll cover to survive the “terrible twos and threes” and switch over to a “testing” twos and threes mindset! Do NOT say “calm down” during the tantrum… has that ever helped you? Before we move into the “disciplining” two and three year olds, I wanted to tell you the two books that have changed the way the world looks at toddler tantrums! Don’t try to hide the tantrum by doing “time out” in a separate room, but instead let it happen freely! 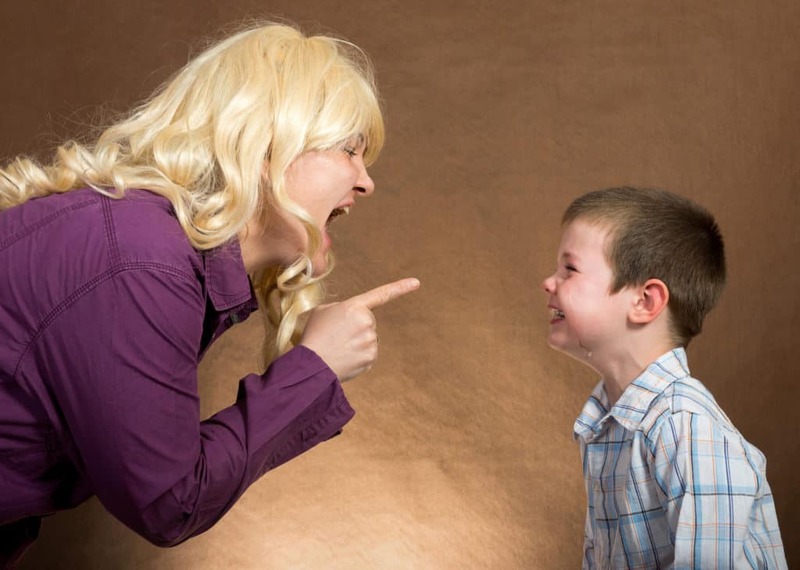 Do not spank your child for the tantrum – this undermines their trust with you! Own up to anything you did that wasn’t OK! 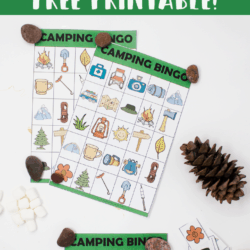 Are you prepared for the “Testing” twos and threes now? I previously wrote an article on gentle parenting using the RIE method (You can check that out here) and it has been life changing! When you first read it, the tips seem simple and you don’t think they’ll make much of a difference. But give it a week, and it’s likely your kiddo will have som big changes? If you notice on the last point, I wrote “when tantrums happen” – meaning, they will still happen, but the hope is they’ll be shorter, less often, and you will feel more calm while it’s happening! This has been such a help! Kids like to feel like they are a part of the plan too, especially toddlers who are just learning their indpendence! I usually only do half a day at once, unless there is some big event going on that is out of the norm. I find this really helps him feel in control because he knows what is going to happen next. I also make sure to give him plenty of warning before the next event happens so that he’s prepared! This is sort of a smaller point to the one above, but it really is important too! I can’t count the amount of times (before I started parenting this way) that we were running late and I had to almost restrain my toddler because he didn’t want his shoes on, or we couldn’t find his current favorite toy, or the hundred other reasons toddlers can potentially delay things if not palnned for! Even with all the prep in the world, food made, clothes laid out, it’s nice to have that extra 10 minutes for any additional requests. For one, I’m WAY more calm – I ended up yelling a ton of times because I felt like it was the only way he could hear me above the chaos. That, of course, stressed him up which stressed me out! Second, when your child sees you being calm, I think that vibe sort of rubs off onto them. I can definitely tell when I’m running late that my tone of voice sublety changes, and he instantly catches onto that! Even if the reason the tantrum is happening seems small and insignificant to you, for your toddler, it’s likely a big deal! And by saying “calm down” you’re in a way invalidating their feelings – without even asking what’s’ wrong, you’re asking your toddler to flip some magical switch to become calm and somehow dismiss what they were upset about! It’s sort of the go to response – I’ve said it hundreds of times! But when I stopped saying it, I found that my three year olds tantrums ended sooner than yelling it to him like I did before! Screaming to “calm down” will NEVER help! Has it ever helped you? I found these books while researching ways to deal with my toddler when NOTHING was working, and the author’s name repeatedly popped up. Her techniques help you understand why it’s all happening, and with that knowledge, you are able to parent way more gently because you are prepared! I absolutely love everything she’s written – and this is coming from someone that scoffed at the whole “gentle parenting thing.” To be fair though, I thought gentle parenting was counting down 10 times in a row and letting your kid walk all over you! Instead, this method of gentle parenting is based on the RIE method, and it focuses on firm boundaries and respectful exchanges between the parent and the child! 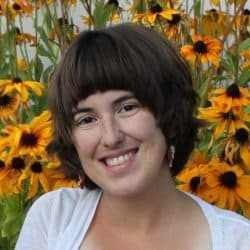 If you’re hesitant to buy her books, there is plenty of free and amazing advice on her blog, and she also has a podcast! This book is a great overview of Janet’s philosophy (with real examples) of how to start respectful parenting from the get go. While the first half is geared more towards infants, the last half has alot of toddler information! If you believe in being gentle without being a pushover, and talking to your toddler instead of punishing them, this book is for you! There are exact conversation templates of common occurrences so you know how to react! I LOVE IT! 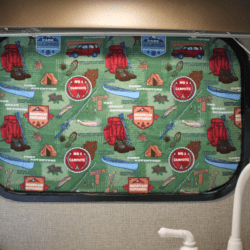 Two and three year olds are notorious for having tantrums at the worst time, and I know you might have eye rolled at this… but hear me out! The idea here is that time out is for bad behavior, but really toddlers are just behaving and testing the world around them. Most of the time, they are not intentionally acting bad, and to deprive them of communication and instead isolate them is pretty much the opposite of what they need. If you’re at home, let them know you’re there when they’re ready and leave them be! Look at this like a train going through a tunnel – you have to get through to the other side, and there is no intervening. You might see this and say I’m crazy, timeouts work! They do, if they are used right. However, if you have ever had to THREATEN with time out, physically restrain your child to stay in time out, set a timer etc… that is punishment. Time outs can be a great way to get away from the stressful situation, and allow your child the opportunity to unwind and talk to you calmly. Main points for my fellow skimmers about letting the tantrum happen! Think of tantrums like a train going through a tunnel – there is no stopping it, the train (child) has to come through to the other side! Alot of parents spank because thre are petty immediate results – once a child is spanked, they will try to avoid being hit again. However, this isn’t teaching them anything useful that will help change the behavior in the future or even learn how to deal with unwanted behavior. I won’t judge any parent for that (after all, it’s hard to show a logical consequence of running away that represents being stolen or run over!!) however when you can, try emphasizing the emotional effects of what might happen if they do activities that would, to you, warrant a spanking. Spanking does work in the short term, but for very unhealthy reasons that end up damaging your toddler in the long run – instead of not repeating the behavior because they understand why it’s wrong, they avoid it just to not get hit! Spanking breaks the trust that your toddler has in you to care for them – they need to know they are safe to explore their emotions with you, and spanking when they melt down shows they cannot! This is the hardest one to do – alot of times, we as parents are exhausted, overwhelmed, and have way too much on our plate… and we are barely staing above water some days! So any additional occurances like tantrums might push us over and make us lose it! But this is one of the best times to challenge yourself and model the behavior you want to see – calm and understanding even in adverse situations! Instead of reacting, respond with kindness! Instead, I say “Well I can see you’re done with you’re drink, so lets clean that up and be all done with drinking that today.” This way, they will be able to learn the consequence for their action – if they purposly spill something, then they will not be able to have it anymore since they have signified they are done! 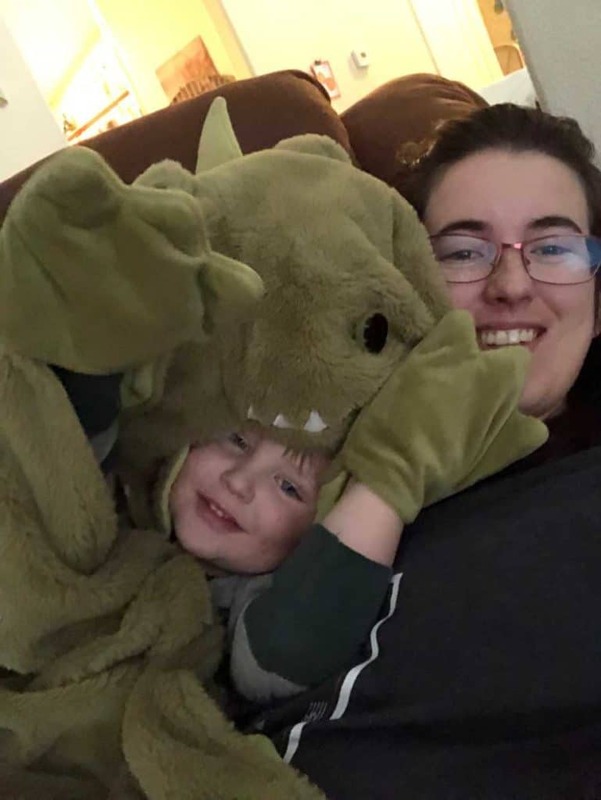 I ALWAYS notice that the tone of my voice has a very big effect on the mood of my child, and if I lose my cool, it just seems to be gas on the tantrum fire! Related: Part of being able to maintain that calm is to have a full cup, mama! Check out how to become a happier stay at home mom, as well as how to get over the mom guilt to really take care of you! Though freaking out about whatever is for breakfast might seem trivial, it’s not good to try to talk about it while it’s happening! Trying to scream over your child’s crying will only escalate the situation! 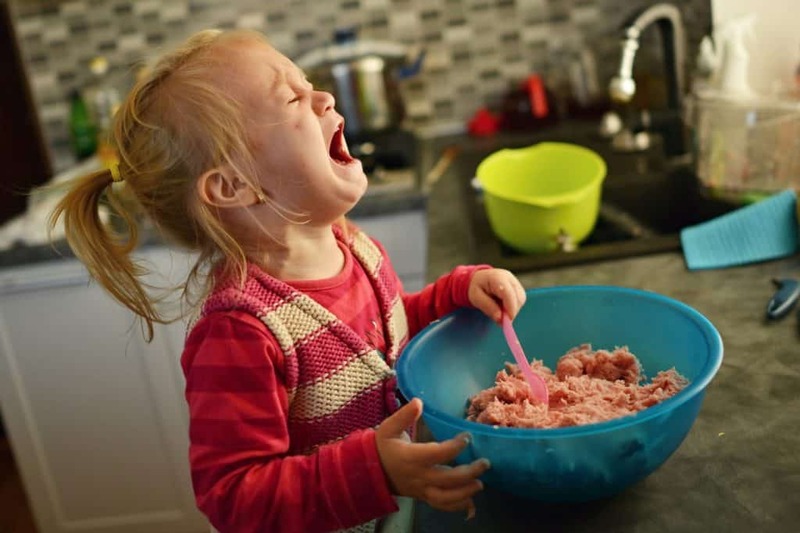 Most of the time, your toddler will be too busy with the tantrum to think logically, and may react even worse to your yelling! So instead of just wailing, your toddler might start hitting or kicking if you try to scream at them what they should be doing while they are already emotionally overwhelmed! After the tantrum has passed is when I discuss what happened and how to fix it. Just because you’re the parent doesn’t mean you can do no wrong! If I ever lose it – and it still happens, even with all this knowledge because I’m not perfect, and OH SO TIRED – I always apoologize! I want to model healthy emotions, and sometimes that does include boiling over! I also want to show him that it’s important to think about how that impacts others, and to always be thoughtful. I make sure to emphasize that “even when I’m grumpy” I still love him lots, so that he knows he can always count on me, even if I’m not in the best of moods! It’s always important to own up to anything you did that was wrong while you were angry or frustrated! It’s important to model to your toddler how to deal with emotions! It’s so much easier to handle the tantrums when you know they’re coming, as well as knowing they are not spiteful or made to be taken personally! Toddlers are learning so much, and the only way to know what to do is to repeatedly test it! This DOES NOT make them terrible! That means it’s up to you to give them that safe testing space, as well as remain calm and allow them to experience the emotions that come with it without judgment! I’m sorry if this all sounded “crunchy” but give this mindset a chance – it might just make parenting that much easier for you! Almost everything I have said is backed up by studies – however I am not writing about it to be preachy or tell you what you’re doing is wrong. 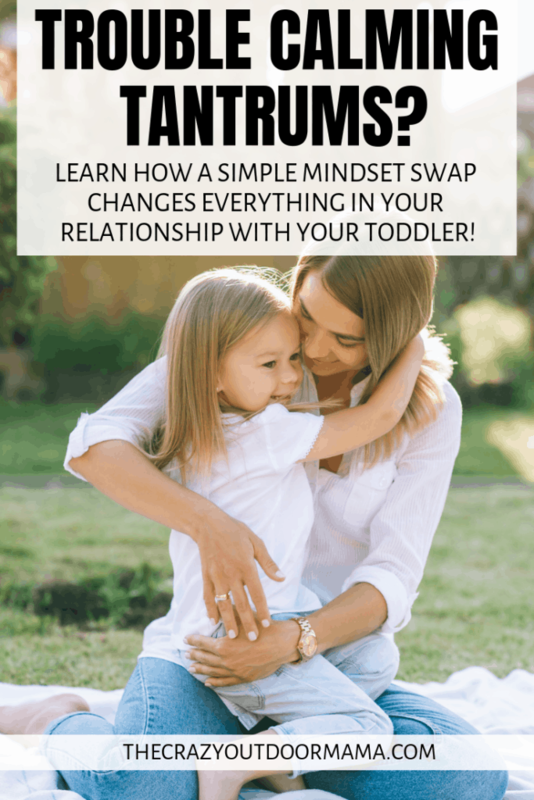 I am writing this so that other parents at their wits end with tantrums can see why this method might work, beause I want others to see the same crazy change I have in my own toddler! Me and my three year old have had a MUCH more peaceful relationship – free of yelling, and with more understanding! I can’t believe how much easier tantrums have gotten!